Manager, MLA (1941-1945), MLA (1946-1949), MLA (1950-1953), MLA (1954-1957), MLA (1958-1959), MLA (1959-1962), MLA (1963-1966). Born at Gomel, Russia on 16 May 1887, son of Abraham and Sara Gur-Arie, he attended high school in Russia then, after coming to Canada in 1908, attended night school in Winnipeg. On 15 October 1911, he married Sonia Bruser (c1887-1975), daughter of H. Bruser, of Winnipeg. They had four children: Abraham Bernard Gray (1912-? ), David Lyon Gray (1915-?, husband of Freda Isaacs), Sara Ida Gray (1917-?, wife of David Swett), and Anne Gray (?-?). 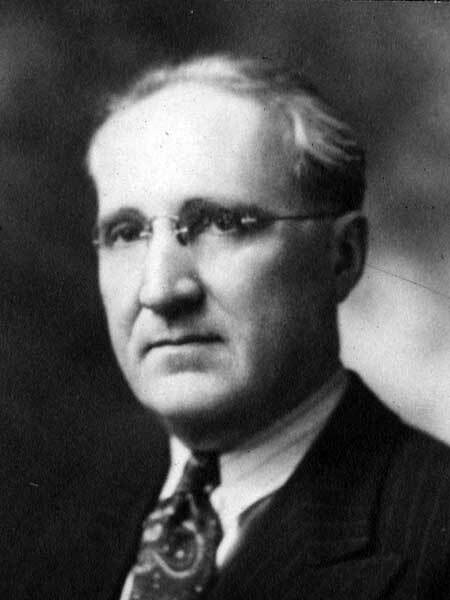 He was a member of the Winnipeg School Board from 1926 to 1930, and an alderman on the Winnipeg City Council from 1930 to the early 1940s. He served as President of the Jewish Children's Aid Society, Winnipeg Community Chest Board, Honorary Vice-President of the Canadian Jewish Congress, and Chairman of the Labor Zionist Organization. First elected to the Manitoba Legislature at the 1941 general election, he was re-elected in 1945, 1949, 1953, 1958, 1959, and 1962. In 1964, he was given a Manitoba Golden Boy Award for meritorious community service. He died at Winnipeg on 12 January 1966. Uncle of Gerald B. Gray. The Canadian Parliamentary Guide, 1943. “Earnest debtor,” Winnipeg Tribune, 4 August 1948. “Veteran MLA, M. A. Gray dies,” Winnipeg Free Press, 13 January 1966, page 6. Obituary [Sonia Gray], Winnipeg Free Press, 8 October 1975, page 55.